When Drake dropped If You're Reading This It's Too Late late last week he further complicated the various terminology given to hip-hop releases. These days there are more and more "EPs" that are as long as full-length albums and "mixtapes" that appear no different than a proper studio album (like If You're Reading This It's Too Late). Drake called the 17-song release a mixtape, but when it came out Thursday evening it wasn't exactly available on any of the major mixtape sites. LiveMixtapes streamed the mixtape for a brief moment, but instead of allowing users to download If You're Reading This It's Too Late directly from its site users were presented with a button to redirect them to the iTunes store. A rule of thumb for defining a mixtape in the digital age is that its creator releases it for free, and the $12.99 price tag for Drake's new collection muddies the "mixtape" designation. If You're Reading This It's Too Late is the latest, high-profile release challenging the notion of what mixtapes should be, and what they once were to many: a song dump between proper studio albums to keep fans on their toes and keep rappers on their game. These days the quality and consistency of music I find on mixtapes can rival a studio album (well, maybe not the sound quality). Take Stackin’ N Mackin’ Vol. 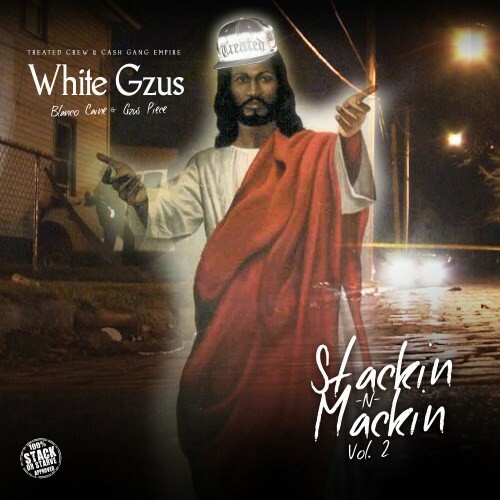 2, the brand new mixtape from Treated Crew duo White Gzus, aka rappers Blanco Caine and Gzus Piece. Besides the "Stack or Starve" DJ tag that pops up throughout Stackin’ N Mackin’ Vol. 2, this could've been passed off as a "proper" studio release. White Gzus handle low-riding southern hip-hop with effortless verve, and the best songs remind me of a cool breeze hitting your face on a hot summer afternoon. The crisscrossing voices on the hook for "Stackin' N Mackin'" help make it one of the best local hip-hop songs I've heard so far this year. Tonight White Gzus celebrate the release of Stackin’ N Mackin’ Vol. 2 with a headlining show at Reggie's Rock Club; Chris Crack, the Guys, and Young Giftz open. If you can't make it to the show you can catch White Gzus at the Theophilus London afterparty at Cobra Lounge on Monday. In any case, if you like what you hear be sure to check out these shows. As Ernest Wilkins wrote in his White Gzus profile for the Chicago Tribune, Gzus Piece is facing some serious charges after he was arrested for trafficking heroin on New Year's Day. I bet White Gzus will bring everything to these shows. Chicago hip-hop had such a great year that even avid fans probably missed some fantastic new music—and these five releases definitely got less love than they deserved. Catch up with one of our favorite local rappers.